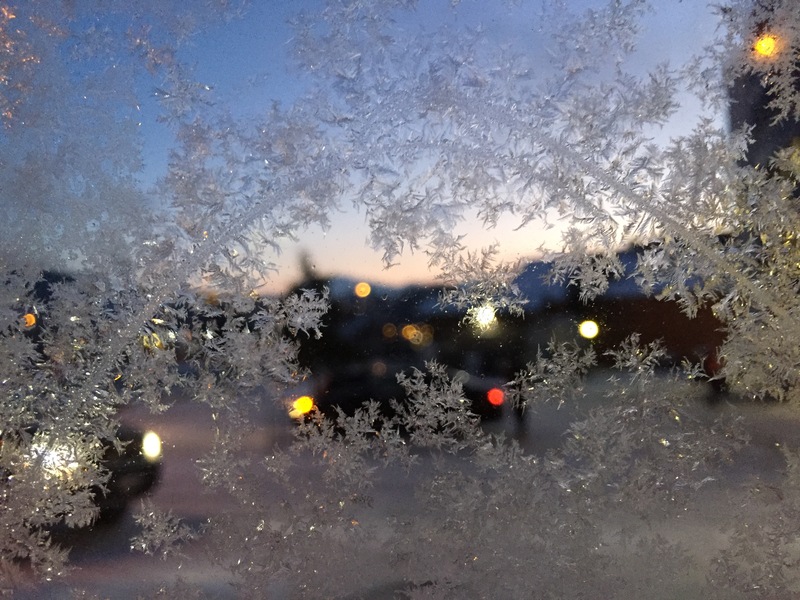 When ice builds beautiful structures on glass we call it ‘Eis Blume‘ (‘Ice Flowers’). In the past this happened on the windows in unheated buildings. These days it is a rare species with all the heated building. This one is more like snow flakes building up nice structures. With the sun coming up in the background their beauty will be gone very soon…. This entry was posted in Photography, Pictures, Switzerland and tagged Cold, Flowers, Ice, Photography, Picture, Winter by Erich Styger. Bookmark the permalink. Wow! I’ve never seen anything like this! It requires humid air combined with low temperature. We had around -10°C this morning to make it happen.